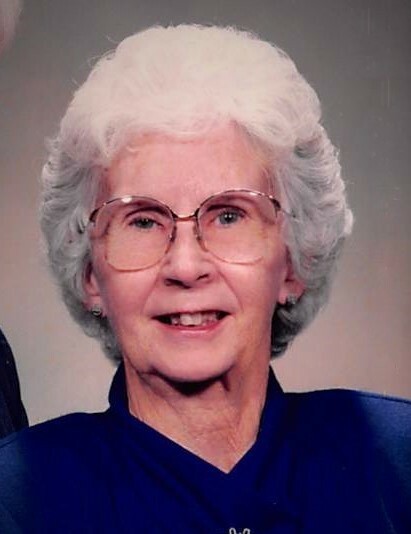 Obituary for Catherine May (Rohan) Kmiec | Varnum Funeral Home, Inc.
Ware – Catherine May (Rohan) Kmiec, 95, of Ware died on Friday, March 15, 2019 at Baystate Medical Center with her family by her side. She leaves her son, Eric Kmiec and his wife Jennifer of Middletown, DE; two grandsons, Tyler Kmiec and his wife Allison of Philadelphia and Samuel Kmiec of Delaware; her brother, Richard Rohan and his wife Martha of Ware; her sister, Mildred Rohan of Ware, and several nieces and nephews. She was predeceased by her husband of 68 years, Emil Kmiec in 2013, and her god-daughter Paula Jamilowski last year. She was born in the former Quabbin town of Enfield, Massachusetts in 1923, daughter of the late William and Mabel (Clark) Rohan. Catherine worked as a quality control inspector at the former Ware Shoe Factory, William E. Wright Co. and the Ware Print Shop. She was a dedicated member of All Saint’s Church, and a long-time member of the Daughters of Isabella for many years. She credits her long and well fulfilled life in part to her deep faith. She was a member of the last graduating class from Enfield High School in 1938 before the creation of the Quabbin Reservoir, and was one of the last surviving members of the former town. Her family would like to thank her wonderful and caring neighbors Pam and Guy Streeter, and her nephew Cullen Rohan for all of his extra help as well. It was Catherine’s wish that God’s blessing be with them and to all of you as well. A Funeral Mass for Catherine will be held on Saturday, March 23, 2019 at 10:30AM in All Saint’s Church, 17 North St. in Ware. A calling hour will be held from 9:30 to 10:30AM in the church, prior to the mass. Burial will be in New St. William Cemetery following mass. In lieu of flowers, memorial donations may be made to Shriner’s Hospital for Children, 516 Carew St., Springfield, MA 01104, or at https://www.shrinershospitalsforchildren.org. Charbonneau Funeral Home, 30 Pleasant St., in Ware is assisting her family with arrangements.